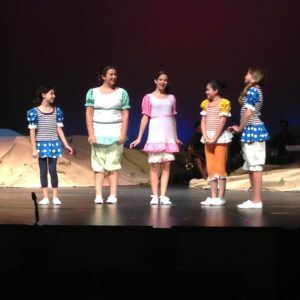 Theater Programs – Port Chester Council for the Arts, Inc.
Our summer theatre season includes two to four full-length productions each year, including separate musicals for children and teenagers. The children’s theater is one of the longest, continuously running programs of its type in the state of New York. Students as young as eight step onto the stage, some for the first time, to experience the joy of performing. Teenagers have the opportunity to perform or work on crew for both the teen show and the children’s show, learning how to design, build and change sets. Additional productions feature college students and young adults and reunion shows with children’s and teen theatre alumni. Visit our July calendar page to learn this year’s performance dates and productions. If your child or teenager is interested in participating in our summer theatre program, visit our site in the spring for forms and audition information. Our Winter Workshop resumed in 2010 directed by Pennywise Productions as part of our theatrical education branch. 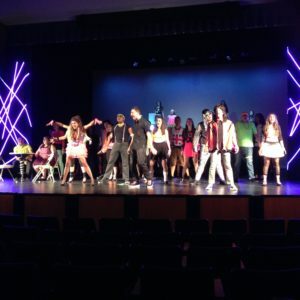 Designed to mimic a summer stock experience, high school and college students participate in a full-length musical production with a short rehearsal period during their school winter break, with a performance in mid-January. The young adults also interact with professionals in the entertainment industry who visit rehearsals and run short seminars for the young act. PCCFA’S arts education director Camille Linen works weekly with a group of senior citizens at the Rye Brook Senior Center to present a variety of comedic, musical and theatrical events for personal enjoyment, as well as for the community.